After receiving over 1 million public comments on their proposed rule, the U.S. Environmental Protection Agency (“EPA”) and the U.S. Army Corps of Engineers (“Army Corps”) (collectively the “agencies”) issued a final rule re-defining “waters of the United States” under the Clean Water Act (“CWA”), on May 27, 2015. The new definition will be used to determine whether federal permits are needed for filling or discharging pollution to wetlands and other water bodies throughout the Country. 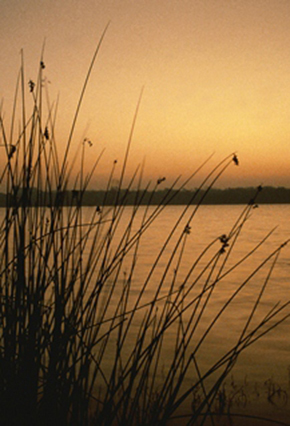 The final rule expands federal control over several types of water bodies and provides some specific criteria that may make it easier for the agencies to administer their CWA programs. The final rule now classifies eight categories of waters (compared to the proposed rule, which only had seven categories) that may be federally regulated: the first six are considered jurisdictional-by-rule, while the last two categories will require a case-specific “significant nexus” determination before these types of waters fall under the agencies’ jurisdiction. The jurisdictional-by-rule waters include: traditional navigable waters; interstate waters; or territorial seas (referred to here as a “Big Three” water); impoundment of jurisdictional waters; tributaries; and adjacent waters. The final rule also contains an updated list of “excluded” waters, including new types of excluded “ditches,” as well as new definitions for terms such as: tributary, adjacent, and significant nexus. In additional to releasing the final rule and its preamble, the agencies also released an economic analysis and lengthy technical support document for the final rule. Tributaries. According to the final definition of tributary, a water that contributes flow (either directly or indirectly) to a Big Three water will be a jurisdictional tributary if that water also has two physical indicators: (1) a bed and a bank; and (2) an ordinary high water mark (“OHWM”). Additionally, once established as a tributary, that water will not lose its status as a jurisdictional water “if, for any length, there are one or more constructed breaks (such as bridges, culverts, pipes, or dams), or one or more natural breaks (such as wetlands… debris piles, boulder fields, or a stream that flows underground)” so long as the two physical indicators can be identified upstream of the breaks. The agencies found that the available science supports the determination that all waters that meet the definition of “tributary,” will be jurisdictional with no additional analysis needed. Key issues for implementation of this portion of the rule may include: disputes over whether the physical features of a bed and a bank are present; whether there are truly indicators of an OHWM; whether there is, in fact, a direct or indirect flow downstream to a Big Three water; and whether the alleged tributary is actually an exempt ditch. Adjacent Waters. Under the final rule, the term adjacent means “bordering, contiguous, or neighboring.” The final “adjacent” waters category will likely capture most water formations commonly referred to as “isolated wetlands,” under the federal jurisdiction umbrella because of how the agencies have defined the term “neighboring.” According to the final rule, waters are neighboring if they are: (1) within 100 feet of the OHWM of a Big Three water, a jurisdictional impoundment, or tributary; (2) within the 100-year floodplain and 1,500 feet from the OHWM of a Big Three Water, jurisdictional impoundment, or tributary; or (3) within 1,500 feet from the high tide line (“HTL”) of a Big Three water or the OHWM of the Great Lakes. If a water borders or is contiguous with a jurisdictional water, or meets one of the three definitions of neighboring, it will be a jurisdictional “adjacent” water and no further analysis will be needed. The agencies did remove the ambiguous “riparian zone” concept and chose instead to use a measurable floodplain delineation. All waters within 1,500 of the HTL of a Big Three water, or within 1,500 feet of the OHWM of the Great Lakes. Significant Nexus. On the most basic level, the significant nexus analysis, developed by Justice Kennedy in his Rapanos concurrence, is a 2-part test: (1) first, the agencies evaluate the water in combination with “similarly situated” waters “in the region;” and (2) second the agencies determine whether those waters affect the “chemical, physical, or biological integrity” of a Big Three water. The final rule now includes a list of specific functions that the agencies will use to evaluate waters under the significant nexus determination. The functions include: (1) sediment trapping; (2) nutrient recycling; (3) pollutant trapping, transformation, filtering, and transport; (4) retention of flood waters; (5) runoff storage; (6) contribution of water flow; (7) export of organic matter; (8) export of food resources; and (9) provision of life cycle aquatic habitat. Arguably this list of functions provides the agencies with greater clarity of how to perform a significant nexus evaluation; however, it is unclear whether the science is supported by the CWA and the caselaw. Under the final rule, these five subcategories will be considered similarly situated and combined, for purposes of the significant nexus determination. Practically, this means that for each of these five subcategories, the first part of the significant nexus determination has been met, and the agencies would only need to determine that these subcategories of waters, analyzed “in combination in the watershed that drains” to the nearest Big Three water also “significantly affect the chemical, physical, or biological integrity of a Big Three water,” before asserting jurisdiction over waters in these subcategories. All waters within the 100-year floodplain of a Big Three water; and all waters within 4,000 feet of the Ordinary High Water Mark or High Tide Line of a Big Three water, impoundment or tributary will undergo a case-specific significant nexus determination. that do not flow directly or through other water into a Big Three. Wastewater recycling structures constructed in dry land. Of note, the final rule removed the controversial term “upland” used in the proposed rule’s discussion of excluded waters and replaced it with the nearly equally controversial term “dry land.” According to the final rule’s preamble, the term “dry land” refers to “areas of the geographic landscape that are not water features such as streams, rivers, wetlands, lakes, ponds and the like.” While the list of excluded waters now includes two new features (stormwater control and wastewater recycling) the “dry land” caveat may prove to significantly narrow the applicability of the various exclusions under the final rule. Regarding the second category of excluded ditches that do not drain wetlands; the preamble explains that a ditch drains wetlands and would be jurisdictional if a segment of the ditch physically intersects the wetland. This is an important distinction for anyone with ditches on their property or anyone contemplating the addition of ditches. Nationwide Permits. Given the expanded scope of federal jurisdiction under the new “waters of the United States” rule, new or revised Nationwide Permits (“NWP”) are needed as a way to streamline federal permitting for discharges into jurisdictional waters. All NWPs are scheduled to expire March 18, 2017 and the process for considering renewals and revisions is beginning. The treatment of ditches under the NWP program is one issue that should be addressed. NWP 46 currently authorizes discharges into jurisdictional ditches and permits up to one acre of jurisdictional ditches to be filled. The description of jurisdictional ditches in NWP 46 needs to be reconciled with the final rule’s new provisions for regulated and excluded ditches. Additionally, the one-acre limitation may need to be expanded and clarified that a jurisdictional ditch is not a stream subject to the linear fill limitations in other NWPs. All other JDs and requests for authorization requiring an approved JD, which are made on or after the effective date of the rule, will be “made consistent” with the new, more expansive definition of “waters of the United States. Careful review of existing JDs is needed to plan completion of authorized work prior to expiration. The new “waters of the United States” definition will take effect 60-days from publication in the Federal Register. While it is highly anticipated that the final rule will be challenged in federal court by industry members, and potentially environmental groups, it is unlikely that any court would stay implementation of the final rule pending resolution of any litigation. In addition to impending litigation, prior to finalization of the rule, members in both houses of the Congress have introduced bills to either block implementation of the final rule or require the agencies to redefine the terms “waters of the United States” under a very narrow scope. The Obama Administration has stated on several occasions that it would veto any such bill. Van Ness Feldman closely monitors and counsels clients on water, air, and other environmental regulatory developments. If you would like more information about the implementation of the Clean Water Act, please contact Brent Carson, Duncan Greene, Erin Bartlett, or any member of the firm’s Environmental Practice in Washington, D.C. at (202) 298-1800 or in Seattle, WA at (206) 623-9372.